Nicholas is a cheerful and popular little boy, with oodles of friends and two adoring and attentive parents. The tyke misunderstands his parents and mistakenly believes they are preparing to abandon him in the woods in favour of a second son. So Nicolas resolves to make his mother and father love him even more and he enlists his school chums for a series of hare-brained schemes which invariably end in disaster. 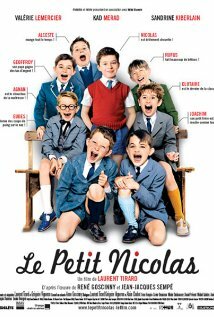 Little Nicolas (Le Petit Nicolas) is not currently showing anywhere.